Custom Cordura Mattress Cover. Made with 500D cordura and a number 9 zipper. 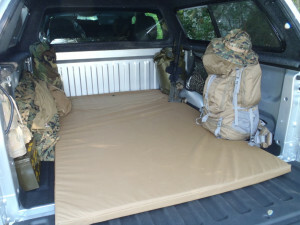 Do you have a foam sleeping mattress you use for tent camping or in the back of a truck? Do you need a protective cordura cover? Send us the dimensions (Length, Width, Depth) and we will send you a quote.